Adorable doll clothes for a day at the beach with your 18-inch dolls! Fly fishing or super fly? Grab your cap and let’s celebrate the warm weather! Discover the wonders of the shoreline with the Our Generation Beachy Keen Fishing Outfit! This outfit for 18-inch dolls is perfect for a day exploring the beach and collecting cute fish along the way. Because there has never been a generation of girls quite like us. We’re sisters, cousins and best friends who support animal shelters by washing cars, have great moments together gazing at stars and laugh with each other until we’re gasping for air. (Even if sometimes we can’t remember what we’re laughing about.) The world moves fast and we’re sprinting right along with it, having lots of fun along the way. This is our time. This is our story. .
Beach Fashion Accessories for 18-inch Dolls! One fish, two fish, three fish, four…grab your net and count some more! Dress your dolls in the adorable purple halter-tie swimsuit printed with a cute popsicle pattern – the perfect pattern for summer! When your doll isn’t getting ready to dive in, help her stay comfortable by layering the pretty white swimsuit cover-up with green embellished piping. 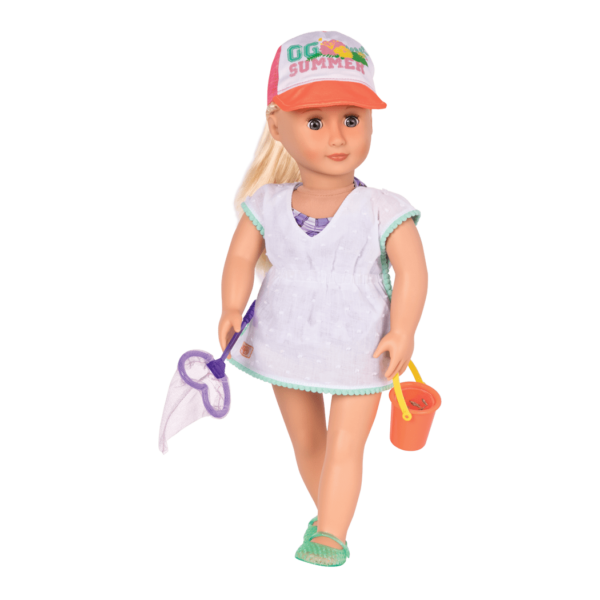 The cute summer baseball cap will help your doll stay safe in the sun, and the green jelly sandals will stop her from sliding on the rocks while she explores. 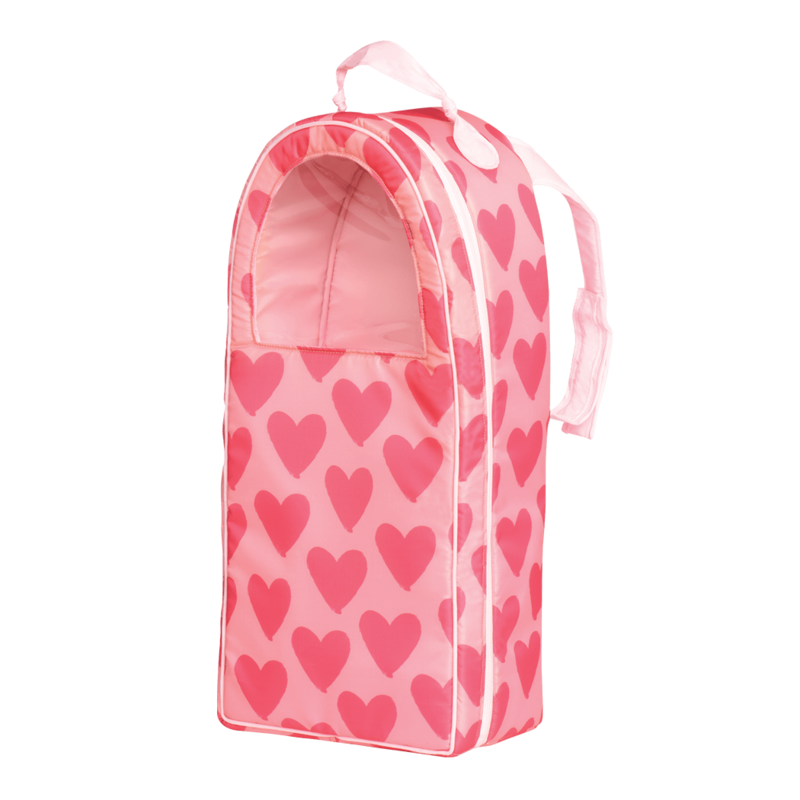 Use the heart-shaped net and the plastic pail to collect some of the cute water critters you discover! A day at the beach has never been so Beachy Keen! Have you met Terry, the doll modelling the Beachy Keen Fishing Outfit? Terry is one of the Our Generation Retro Dolls, and she just loves dressing up for a day exploring secret places along the water! 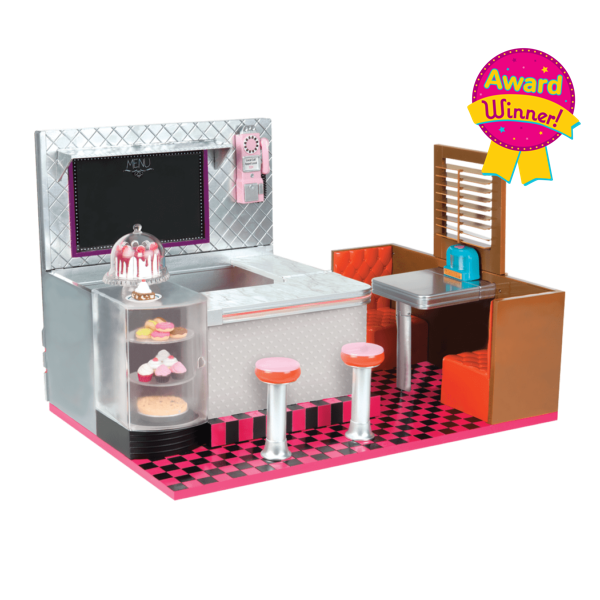 For even more water-related wonders, check out the Row Your Boat Set, a super-cool row boat for dolls that comes with lots of cool accessories and even a string of lights so they can light up the waves!